In the past few years, energy drinks like Red Bull and Monster have become ubiquitous — as both pre-workout boosters and as antidotes to packed schedules that don't allow for enough sleep (especially this time of year). And, the canned stimulants are wreaking havoc on the health of those who drink them. "There's a lot of yucky stuff in them," says CLAY Health Club + Spa's nutritionist Shira Lenchewski, RD. That includes artificial flavors and colorings, excessive levels of caffeine, and tons of excess sugar — not to mention stimulants you've never heard of that have barely been tested. Just don't start chugging them in place of your usual water because they have an USDA organic seal. "Even though these products are labeled 'natural' or 'organic,' you should still keep an eye on sugar and caffeine levels," Lenchewski cautions. To help, we asked her to vet a few of the better options out there. Here are three natural energy drinks that are way better than Red Bull. 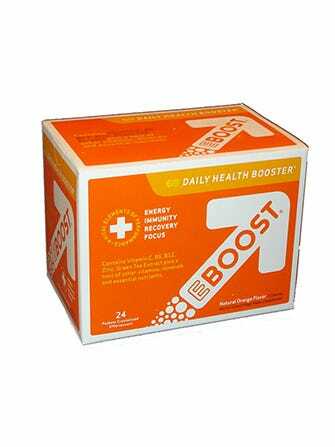 Lenchewski loves this product — which comes in shots and powder packets — because it packs its energy boost into just 5–10 calories, without sugar. The jolt comes from green tea and green coffee beans, which have not been roasted, meaning they are richer in chlorogenic acid, a compound that provides antioxidant protection and can help regulate blood sugar. It's also packed with B vitamins, which help your body convert food into usable energy, she explains. So, the protein smoothie you have later may mean more. Photo: Courtesy of Guayaki Yerba Mate. The leaves of the yerba mate plant have been used to brew mate, a social beverage, in Argentina, Uruguay, and Brazil, for a long time, and it turns out the leaves deliver a decent dose of caffeine and antioxidants. All-organic Guakayi bottles it cold. "This is basically energizing iced tea," Lenchewski says. The company also makes energy shots that contain additional South American superfoods, like acerola cherries and goji berries, which are loaded with vitamin C. Just watch the sugar: Choose the unsweetened version if you're going for the bottled tea, and note the 8g of sugar you're downing if you opt for the shot. 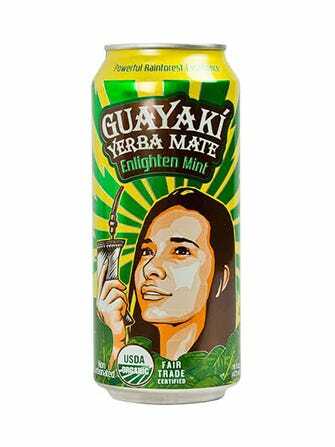 Similar to yerba mate, indigenous cultures in Ecuador and Colombia traditionally drank guayusa from a gourd as part of an early morning ritual. 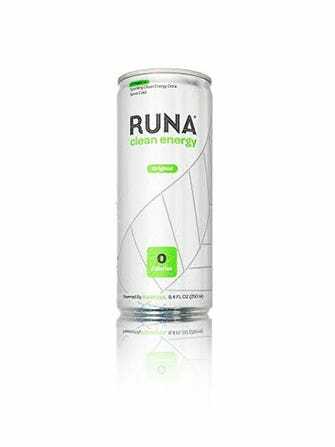 Runa uses the plant as its key ingredient, and it says the combination of its caffeine and theombrine, a compound also found in dark chocolate, provides balanced energy without a jittery jolt. It's also all organic, but again, you'll have to watch the sugar. Go for the unsweetened versions rather than the regular bottles, which contain 14g of added sugar.